I have something to make you smile today. 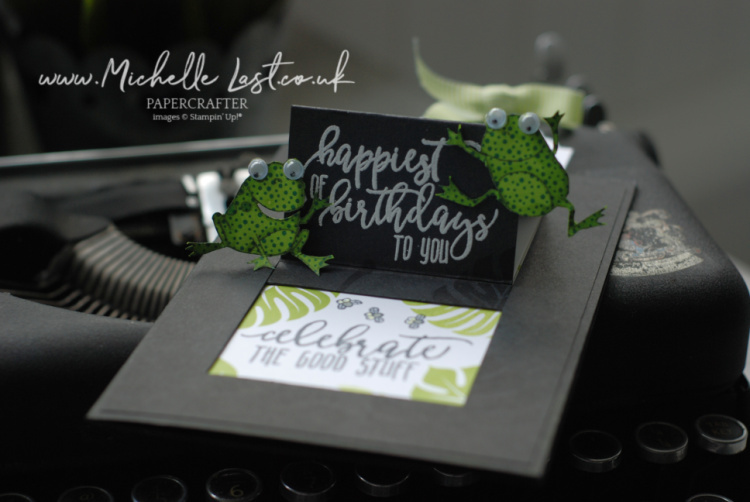 I have made a pop up card and added the cute little frogs from the free stamp set So Hoppy Together! For every £45 you spend you can choose a free item from the saleabration brochure including the frogs which are free till the end of March! 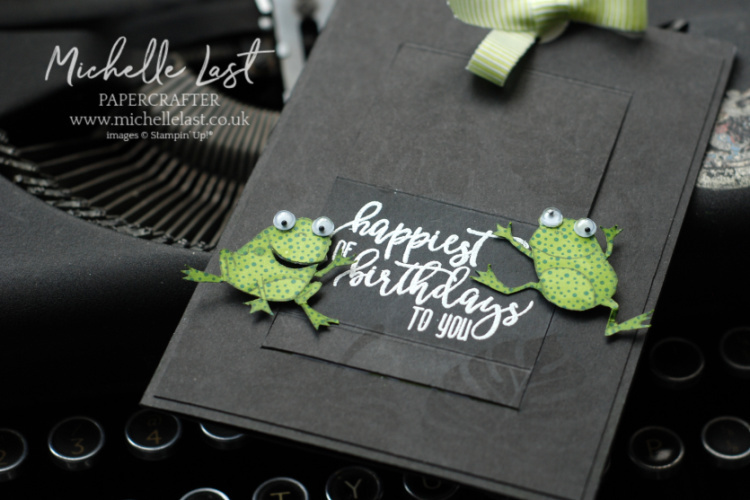 I stamped the frogs onto patterned paper and coloured them with Stampin’ Blends and then cut them out and added some googley eyes. I did stamp the beautiful leaf stamp from Tropical Chic onto the card base in versa mark ink (which gives a watermark effect) and again in Old Olive Ink on the hidden panel. 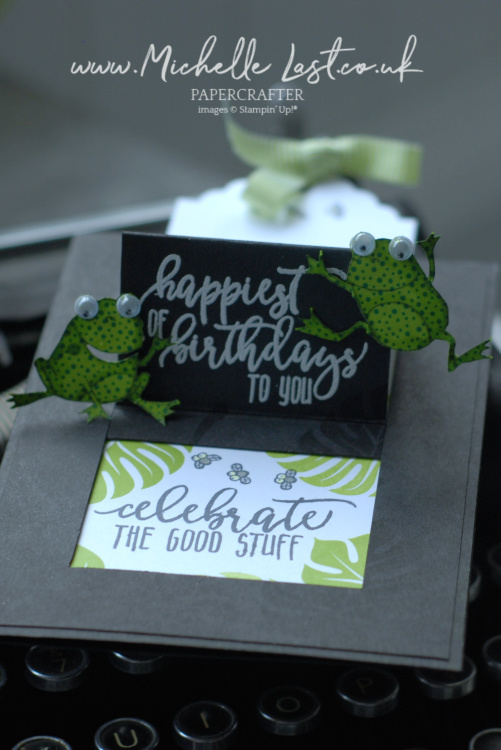 The greetings are from the Picture Perfect Birthday stamp set and I heat embossed them in white embossing powder. If you have not made a Pop Up Card before, see this blog post which has all the measurements and definitely give it a try. So fun to make and I am sure that the person receiving the card will raise a smile too! All the items I have used to make this card are available from my online shop. If you spend £45 you can choose a free item from the Sale-a-bration brochure including the frogs called So Hoppy Together). Simply click any of the images below to do direct to that item in my shop to place an order. Please enter the monthly hostess code (when spending £20+) and I will send a handmade thank you card and gift for shopping with me. Thanks for stopping by today. Stay warm and pop back again later in the week as I will have more inspiration for you. Too cute! I like frogs as long as they are not the living and breathing kind! I feel the same Kay. I’d jump way higher than a frog if I had to touch one!